I had a few shots more I wanted to take, but I checked the backstop and found a hole in the back, and a bullet stuck in the first layer of plywood, so that was the end of shooting for the day.... When I pulled the box apart today, here is what I found.... 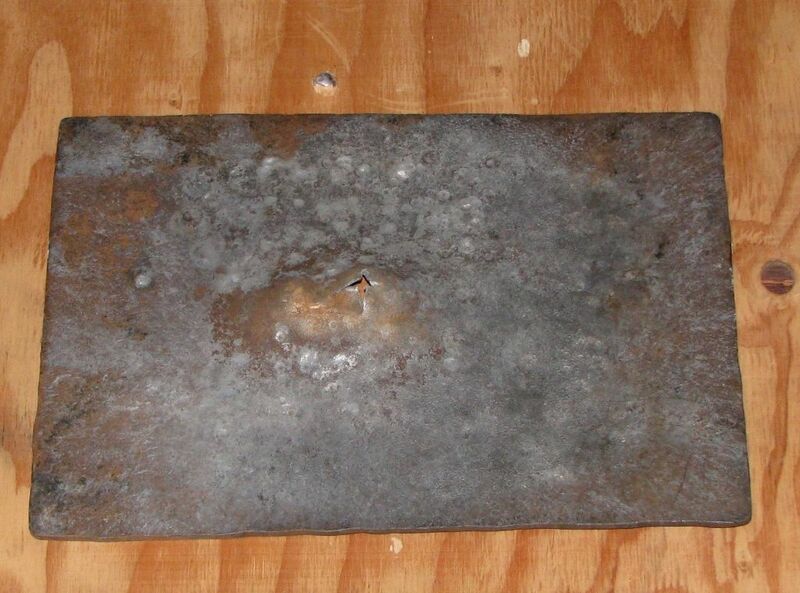 The bulge in the steel plate is about 1" high, and you can see the bullet lodged in the plywood above the plate.... both photographed from the back…. A heck of a way to split wood.! Vinyl backed carpet is working very well for me. It holds together much longer than plywood. I'm currently at 8 layers inside a cardboard box, and a JSB heavy at 18.1 gr and 875 fps will not make it through 4 layers. I find I don't have to check and replace carpet layers all that often. When I was using plywood I was rebuilding the trap 9 or 10 times a year. Down to about 2 or 3 times a year now with the vinyl backed carpet, and I'm shooting just as much, if not more. I will open it up after a high intensity prolonged session just to make sure I'm not passing through the 6th layer. When it gets that far, I rebuild. At least I'm not dealing with splinters, or duct seal/pellet mess. The bonus is that the trap is far quieter than plywood. I would go with 3/8 " AR500.. You'll never need to replace it again. 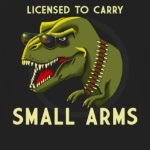 Unless your shooting 3000 FPS or more. It would cost you around 54$ for a 12" square, 4$ more then 1/4". So if it's only 4$ why not go slightly thicker? I personally use these for my PBs and airgun. Last edited by Ace on Sun Dec 16, 2018 5:02 pm, edited 1 time in total. little confused here Bob so is your .457 Hayabusa, which is 500 FPE... making 344 Joules ...? correct me if i'm wrong but according to the calculator your should be 253 FPE..?